If you are not continually measuring what you are doing, why aren’t you? Companies that aren’t measuring their KPIs and objectives often get left behind. What’s measured improves. That’s never truer than when you want to improve your company’s operational efficiency. KPIs are important to business objectives because they keep objectives at the forefront of decision making. By measuring your performance in key areas, you can evaluate how you are doing compared to internal goals or benchmarks, such as industry averages. Then, you can get started on improving your results. Birds-eye view – Doing the same thing every day is not good enough! You must analyse. In the past, senior management needed to pull data from multiple systems into a spreadsheet, perform the analysis, and present the data to decision makers. ProgressPlus and in particular the KPI dashboard enables a more streamlined approach. Rather than waiting weeks or even months to receive reports, executives can instantly receive easily viewable, actionable KPI data and analytics in dashboards and reports. It is so important to identify the root cause of problems and get possible solutions. By incorporating a KPI dashboard for all employees to see, companies will recognise a cultural growth in terms of communicating opportunities with supporting data from several perspectives. It allows people of various levels in the organisation to recognise their potential in contributing toward goals and objectives. KPIs don’t just drive business performance improvements; they have the ability to improve employee morale. When employees know what they are measured on, they will work to meet that objective and not feel slighted by performance evaluations. When you measure stuff and compare your performance to targets, it’s human nature to want to hit those targets and exceed them. The better understanding you have of your company’s data, the better you can drive it efficiently. Create awareness of improvement, and mobilise your team and sustain the continuous effort for improvement. Visual Presentation – using visual aids such as graphs and charts you are able to see all collected performance data in measurable amounts. Transparency – total objective visibility of all productivity data instantly. Real-Time Information – linking the dashboards to your data sources allows for up-to-the-minute data review. Identify Negative Trends – being able to track data in real-time allows you to identify negative trends quickly and correct them efficiently. Measure Efficiencies and Inefficiencies – the only way for you to know what works and what doesn’t is to try it and track the progress. If productivity increases you know you should continue with the current systems. But if there is a decline in productivity, then you are able to see where it is not working and make an informed decision on what to try next. Goal Progress – the ability to not only set productivity goals but to also monitor their progress and see where adjustments need to be made. 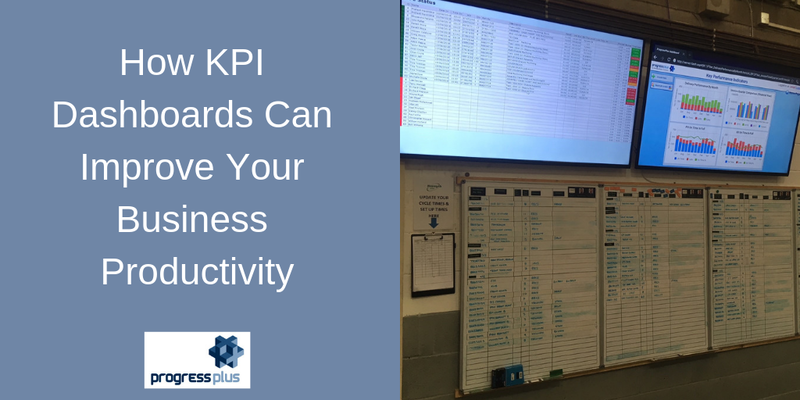 Make sure you KPIs are presented so the whole business can see them. This transparency ensures everyone is working in the same direction, which simplifies lines of communication because the answer to “How are we doing?” is bundled into a clear number rather than hidden under spreadsheets and services or, worse yet, behind guesses. So tracking your business KPIs in an open, transparent way to increase accountability. If you want a demo of our most popular module please contact us.